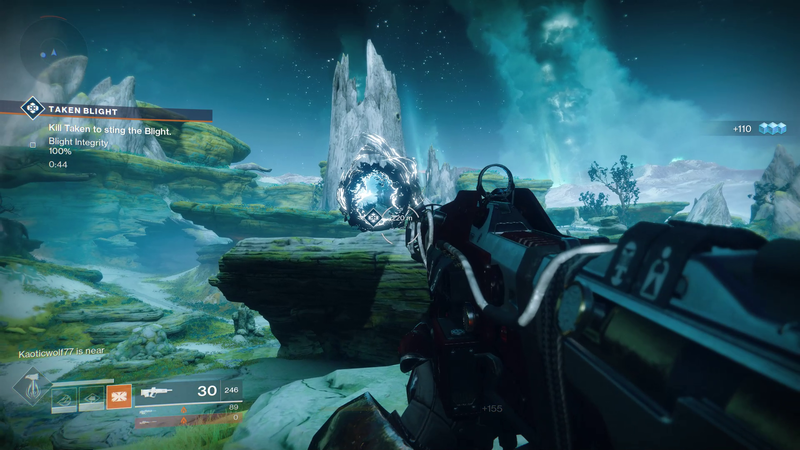 Our Destiny 2 guide explains everything you need to know, including choosing a class, a guide to Exotic armor, emotes, weapons, sparrows and ships, how to trigger Heroic Public Events and much more. 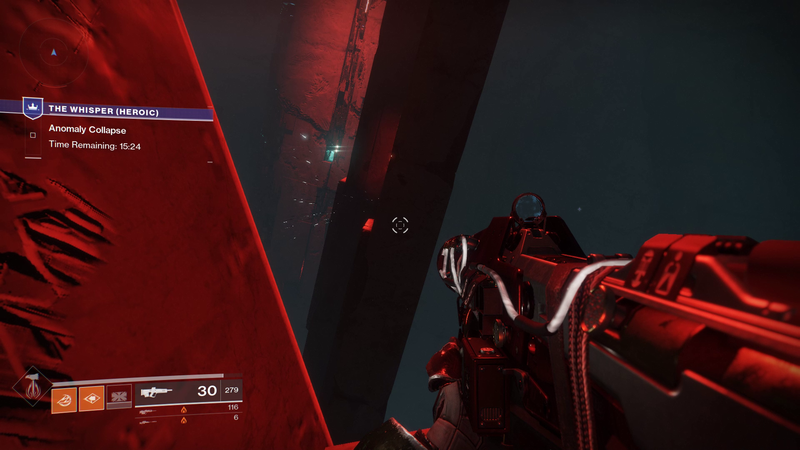 A secret mission on Io has been keeping Destiny 2 players busy recently. 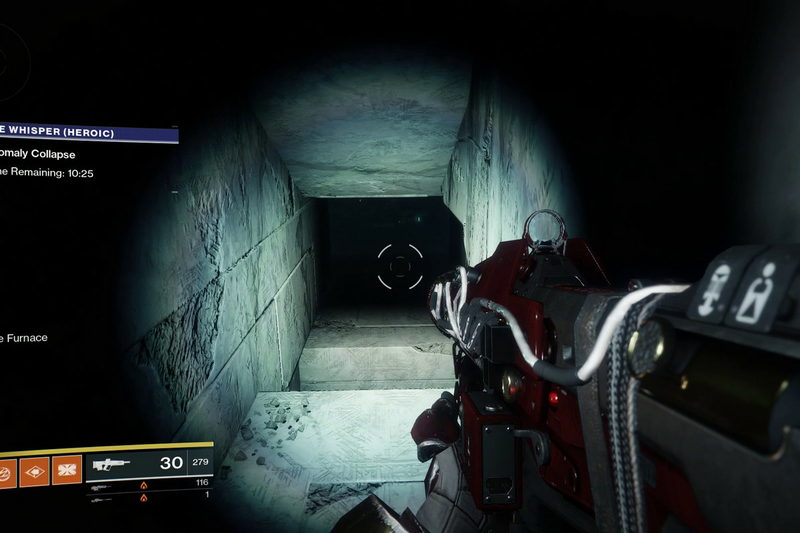 It involves Taken Blight and a secret quest into a Taken-infused dungeon. 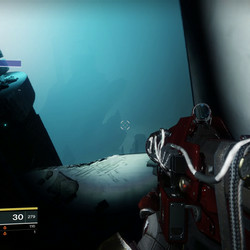 At the end, players will be tasked with a massive boss fight. 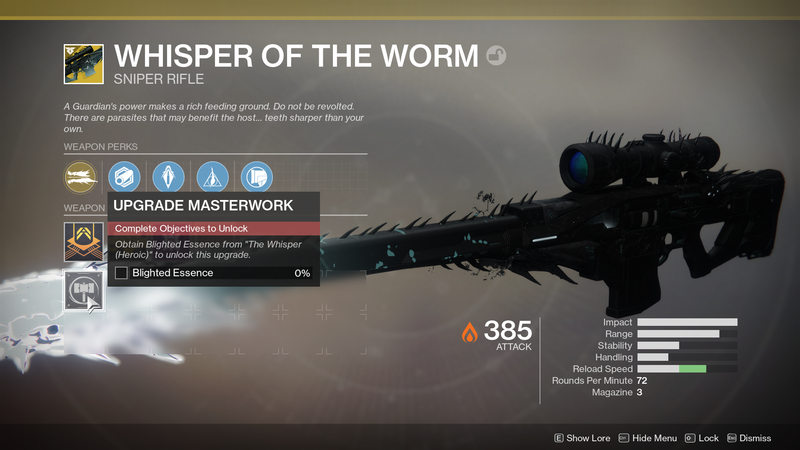 But the reward for completing this activity is more than worth it: Whisper of the Worm, the exotic sniper rifle. 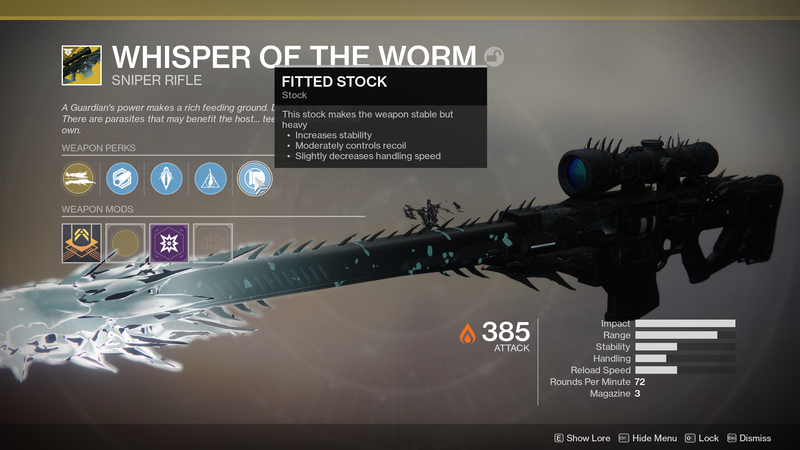 Whisper of the Worm is going to be a must-have sniper for any raider or strike enthusiast going forward in Destiny 2. (We’ll explain why below.) 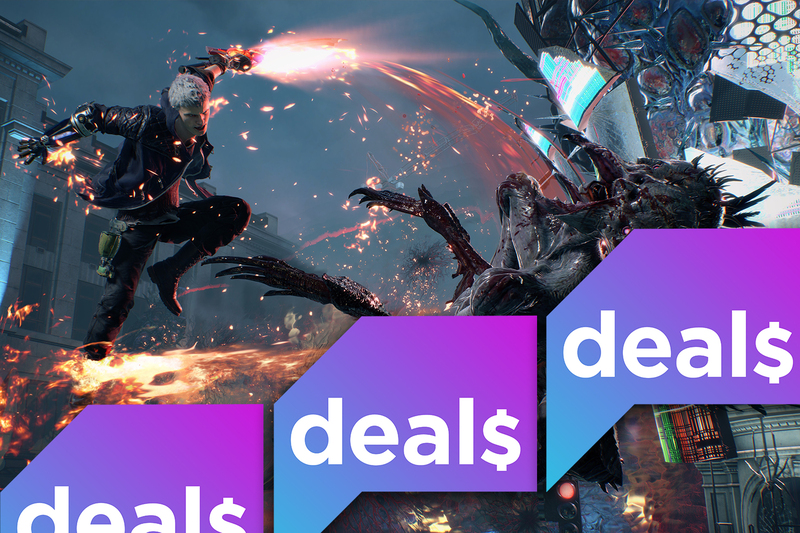 This guide will teach you how to get it, how to upgrade it, and what it does. 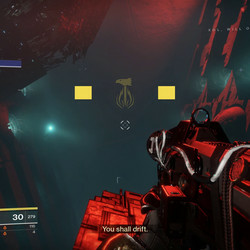 Note: You’ll want to have a Fireteam of three players to complete this mission, although you can technically do it solo. 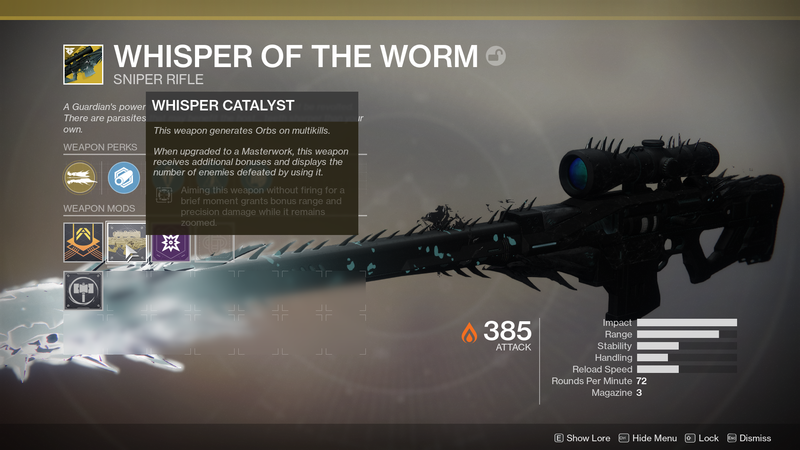 The first thing to know about The Whisper of the Worm mission — just called The Whisper — is that it only appears to be available Friday through Monday morning’s 1 p.m. ET reset. 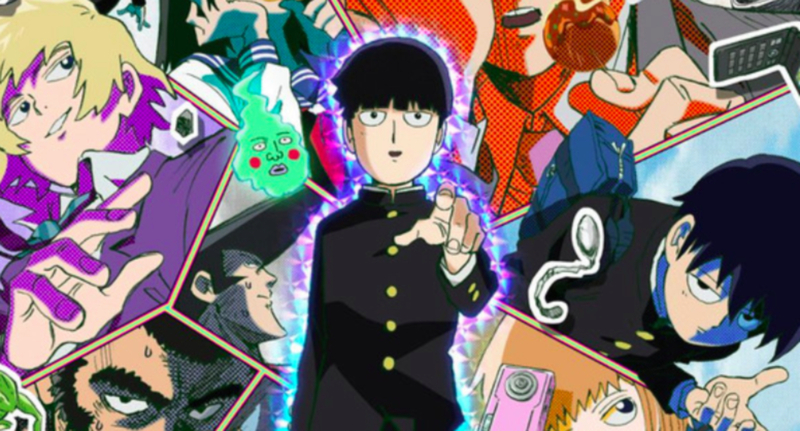 You’ll need to take some weekend time if you want to get this mission completed. 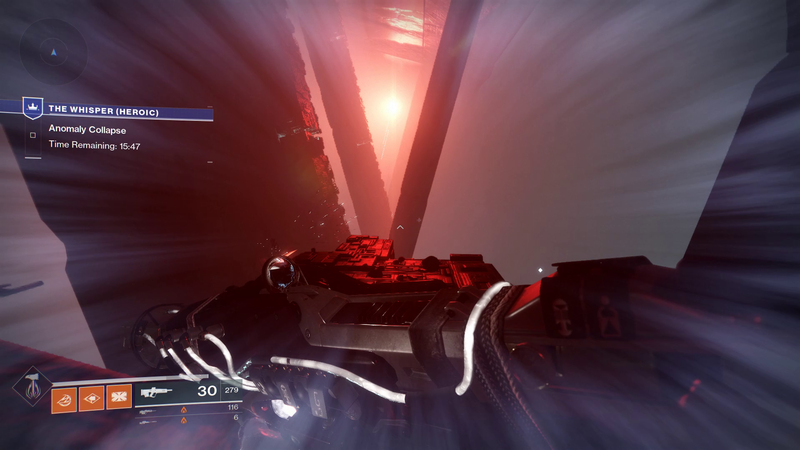 Head to Io’s Lost Oasis landing zone and wait for a Taken Blight public event to spawn. 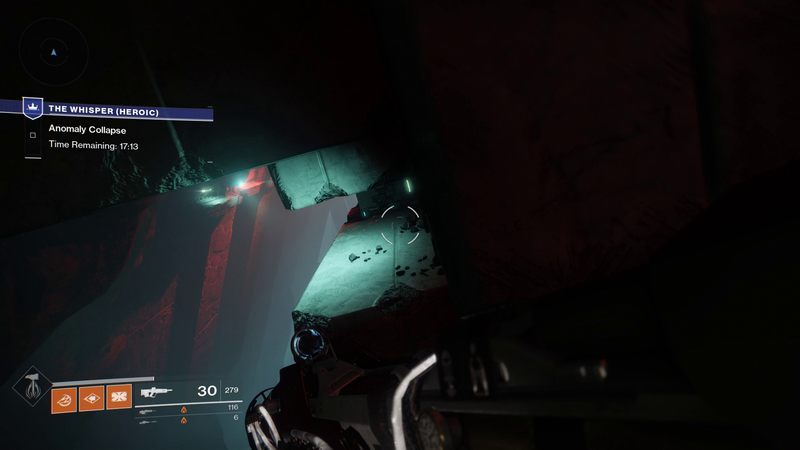 This could take a very long time, so if you’re planning on simply waiting around, then you might want to have some exotic catalysts to farm kills with. 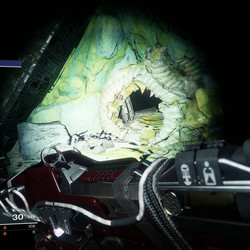 Once the event spawns — which can be any of the Taken Blight spawns on the map, but never the Cabal mining operations — a large Taken boss will appear over by the Grove of Ulan-Tan Lost Sector in the top left of the Lost Oasis. Sometimes he’ll be on a cliff, and other times he’ll be in a small crevice. Either way, find the boss and kill him. Feel free to use your Super and heavy ammo. You’ll probably need it. 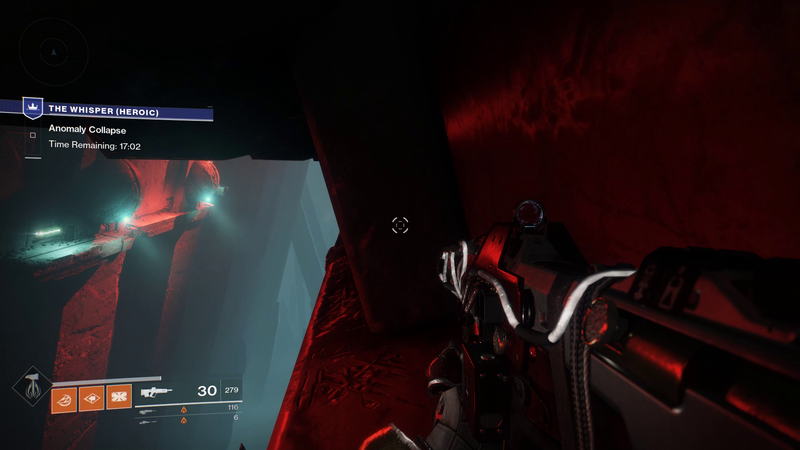 Once the boss is dead, stay in the upper left of the map and look for a big Taken portal sitting on a rock. 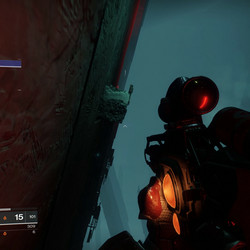 Have your Fireteam leader walk up to the portal and interact with it. 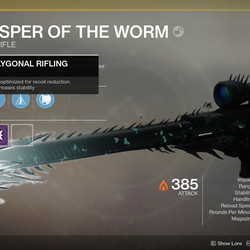 This will teleport the entire Fireteam into The Whisper. 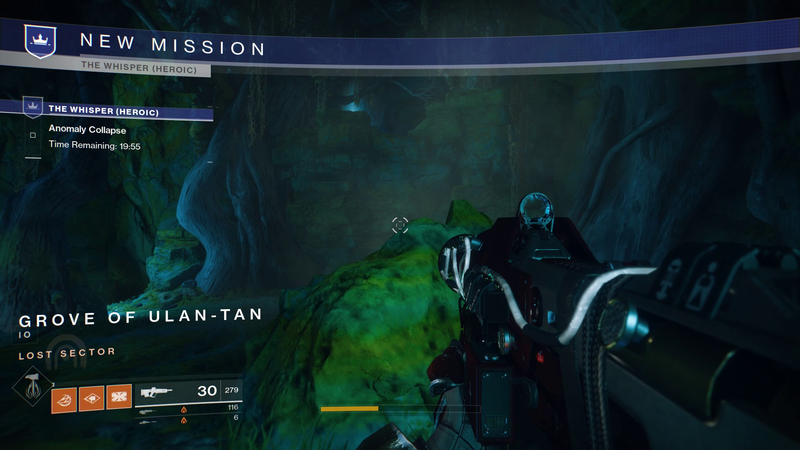 When the load finishes, you’ll find yourself at the start of the Grove of Ulan-Tan Lost Sector. 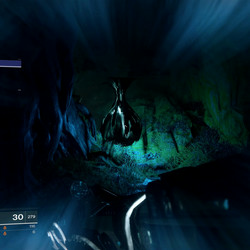 But now you’ll be on The Whisper quest, which comes with a 20-minute timer. 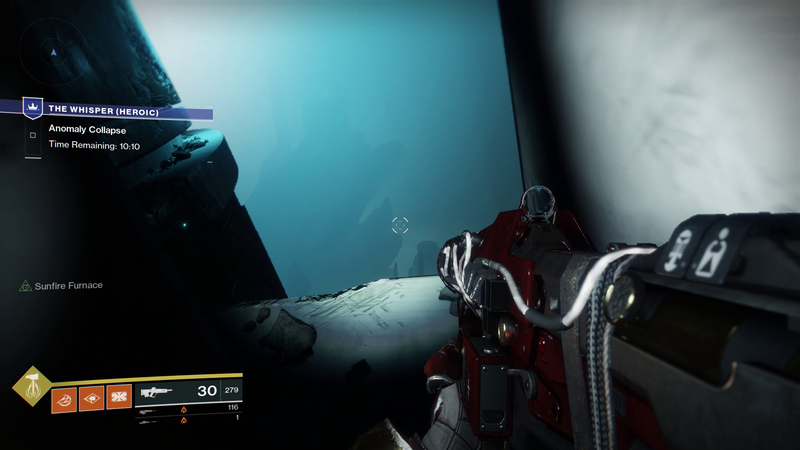 When those 20 minutes are up, you’ll be kicked back to orbit and have to wait for another Public Event. 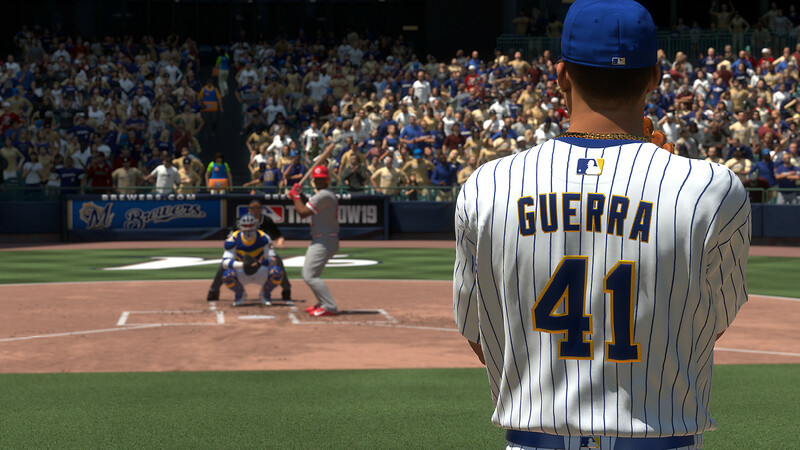 Move forward and look to your right immediately. Toward the way you came in, there is a rock ledge that leads to a small crevice in the wall. This is where you want to go. 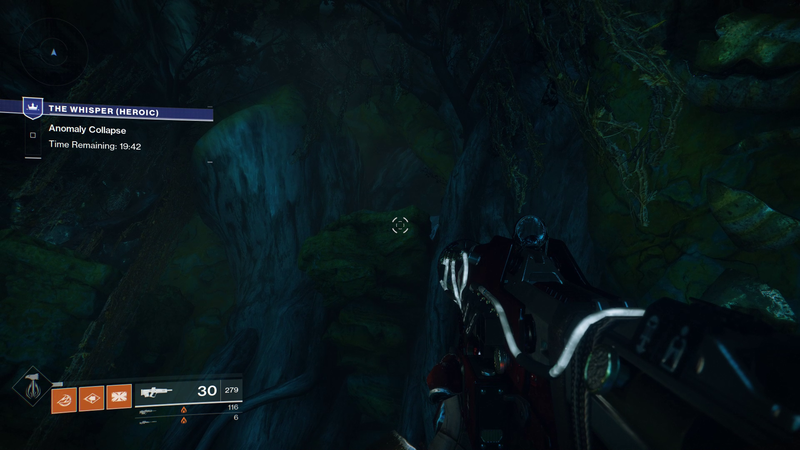 Jump up to where the chest is if you’re a Titan or Hunter. 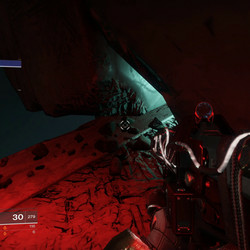 With jumping exotics like Lion Rampart or St0mp-EE5s, both classes can also just jump to the cave. 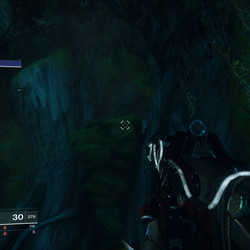 Warlocks will have a tougher time, so try and jump to the tree and then up to the chest and then over to the cave. 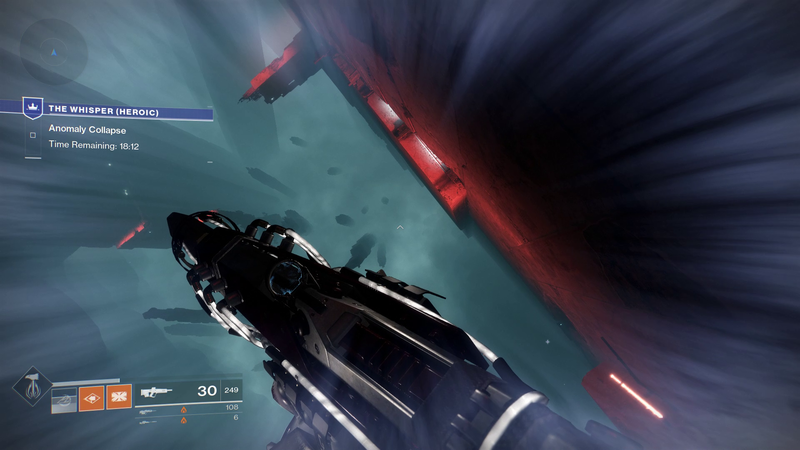 Once everyone is up, walk forward and destroy the Taken Blight. Drop down the hole that has revealed itself and get ready to jump. 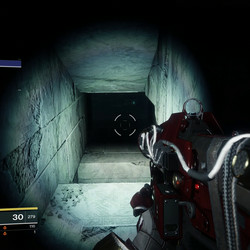 Run forward, crouching through the holes that appear in front of you. 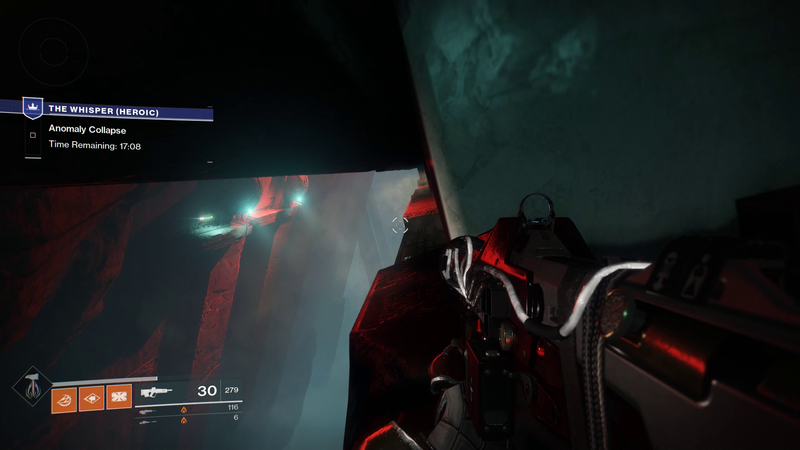 Eventually, you’ll come to a gap with red lights around it. 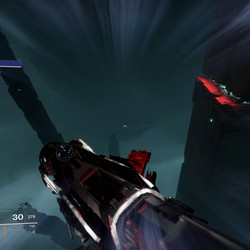 Jump between the walls and onto the platform. 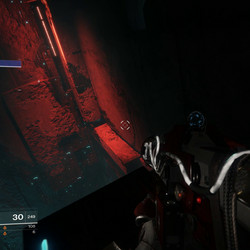 Follow the red lights and jump down to the next area. Crouch to get through the hole in the wall. You’ll now be in a massive room. Stick to the right side and the red lights. Jump down the wall and watch out for the pinball levers ejecting to your right. If they hit you, it’ll ruin your day and likely kill you. 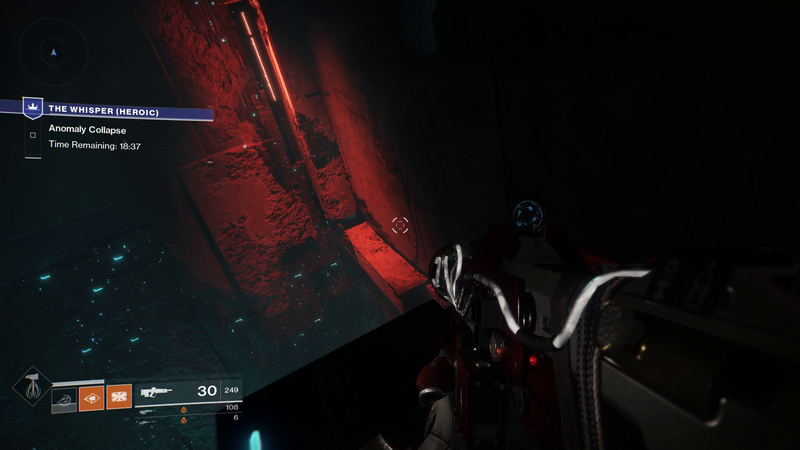 Follow the red lights across the room’s platforms until you hit the center block. 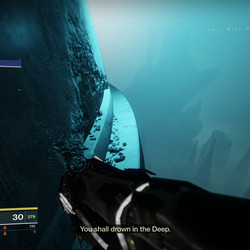 From here, there isn’t a clear exit. 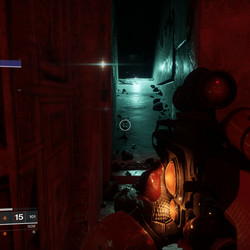 Walk forward, past the glowing cracks and toward the room’s left wall — which should be directly in front of you when you land. You’ll need to jump around the corner here, to your right. 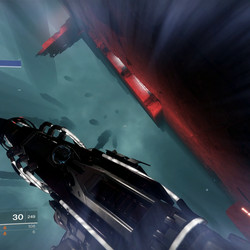 You’ll land quickly on a small platform. 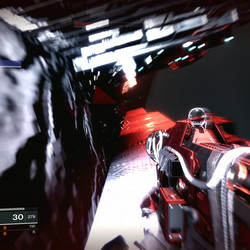 Duck and start making your way through the crevice, waiting for the blocks to move back into the wall. Be patient here and don’t rush. Take each block one at a time until you reach the other side. 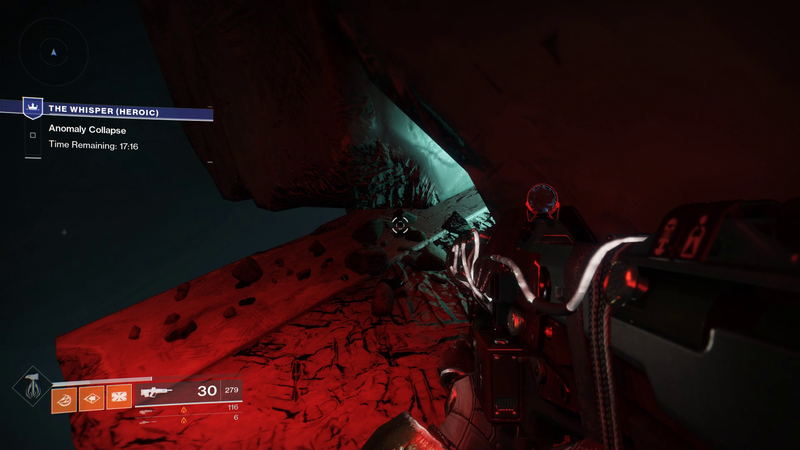 After the blocks, look left and jump across the canyon to the cliff face with the spheres on it. Follow the path right until you reach a small, square elevator. Jump on and ride the square up to the next platform, which should be red and right in front of you. 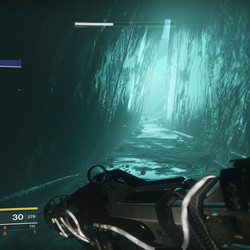 Run forward along the wall and turn left into the white hallway. You’ll find yourself in a diamond-shaped death room. This all looks much scarier than it actually is. Jump through on the angle until you reach the diamond hole. 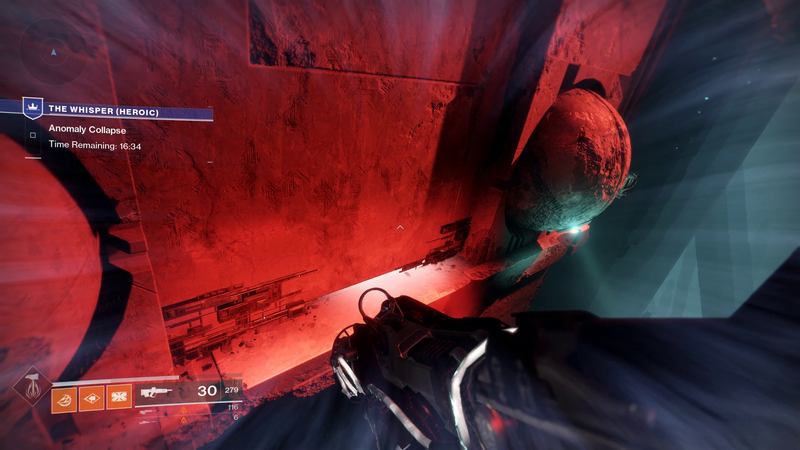 Pop through into the next room, filled with slanted walls and explosions that push you. 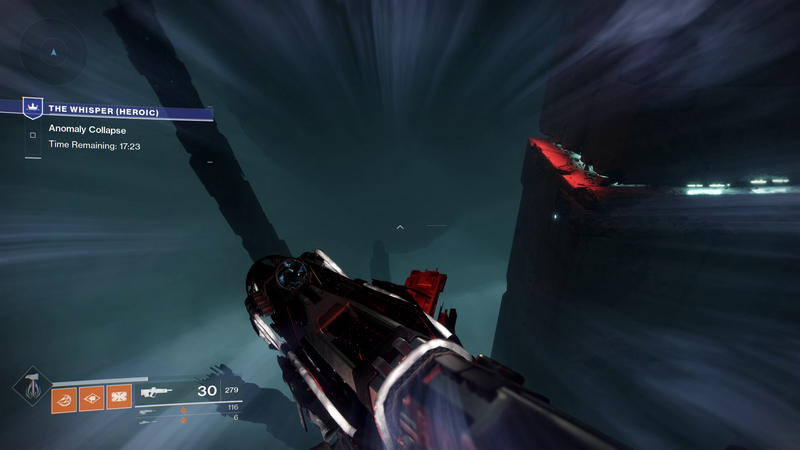 Jump onto the ledges before you, waiting for their push explosion to erupt before hitting the ledge. 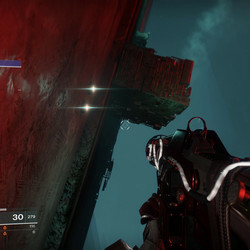 Ignore the Taken Vandals shooting at you (only kill them out if you feel seriously threatened). 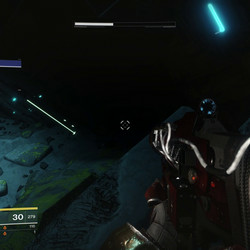 Jump across the room, avoiding the explosions until you reach the wall with the white light. The door will open and shut, so time your jump into the room. 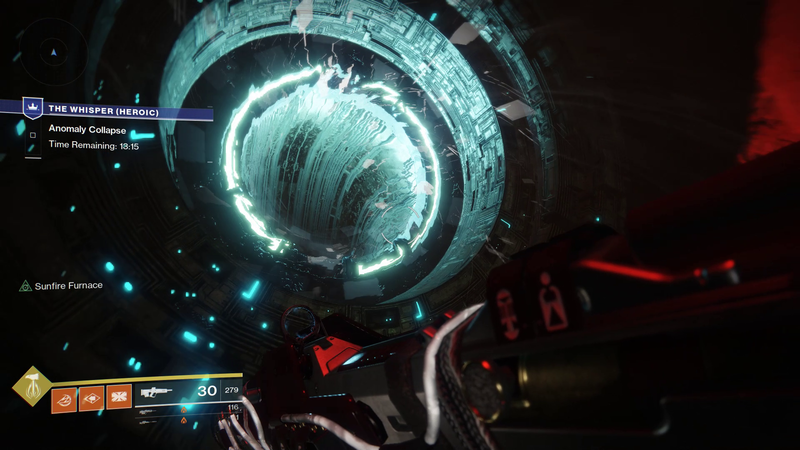 You’ll now be staring at a bunch of similar looking portals, and Xol will begin speaking to you about drifting. Jump to your right and hug the wall. 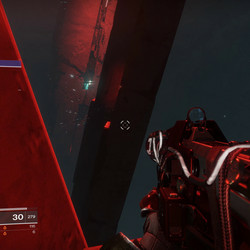 Ignore all the portals until you reach the very end of the right wall. 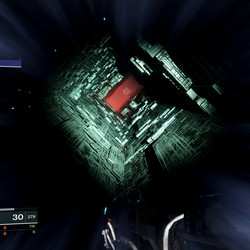 Take the top portal and drop into the room below. 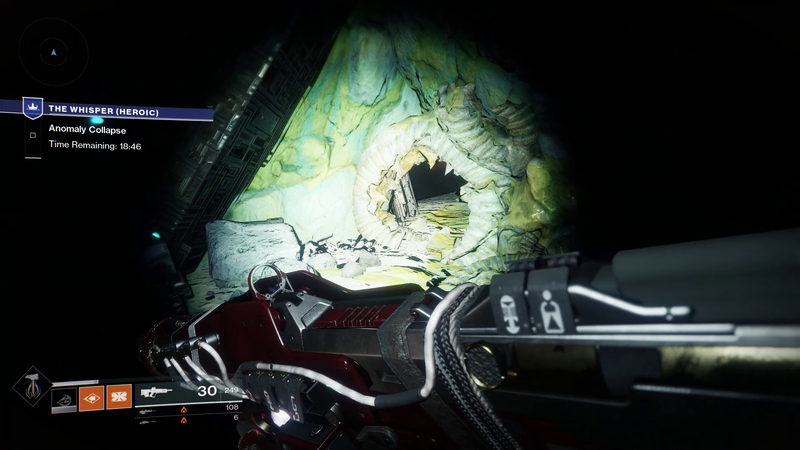 This room looks scary — and it will be in the Heroic version — but the solution is easy. Walk forward until see a dip in the floor to the right. There will be a white strobe on the wall. 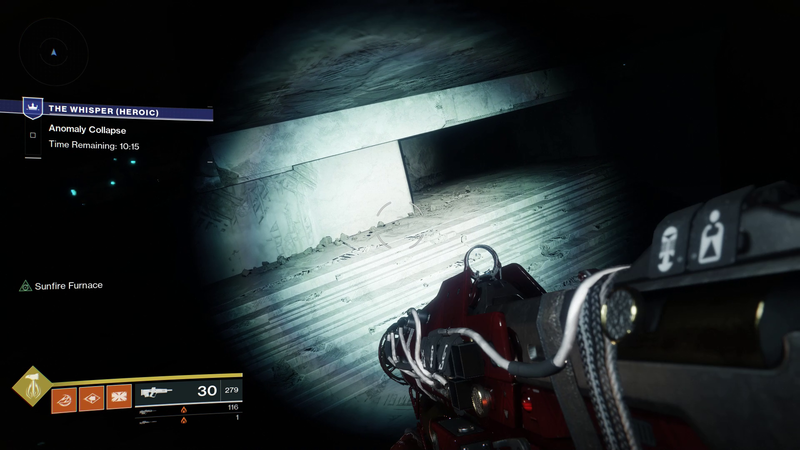 Crouch and walk into the darkness until your Ghost’s flashlight turns on. 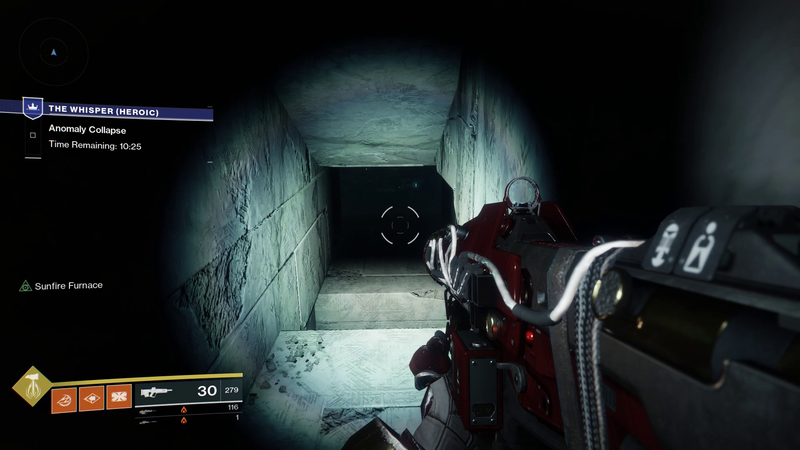 Drop down and make your way through until you’re looking out into the darkness, with a big cylinder to your left. Jump onto the cylinder’s edge and walk along the side. You’ll reach what looks like a diving board. Look far out and down to see the opening in front of you. 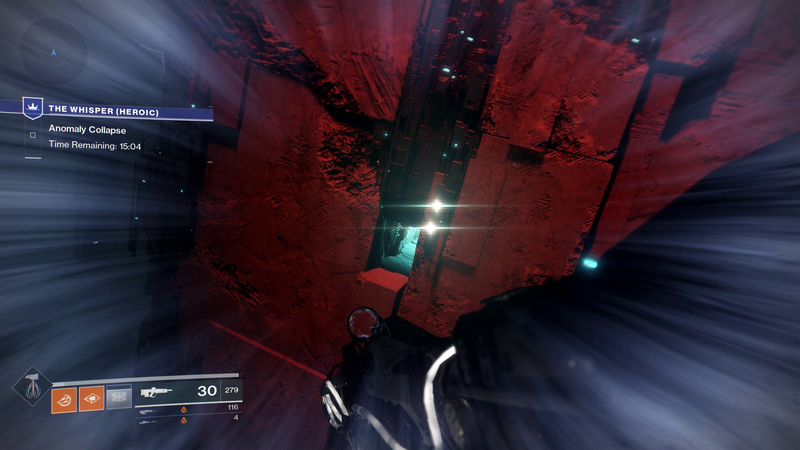 It’s a long jump, so be sure to save your jump power until you’re close to the bottom. 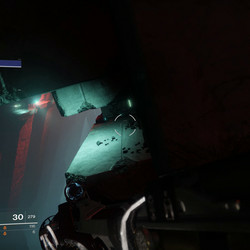 Once you safely land, move forward and crouch under the high ceiling. 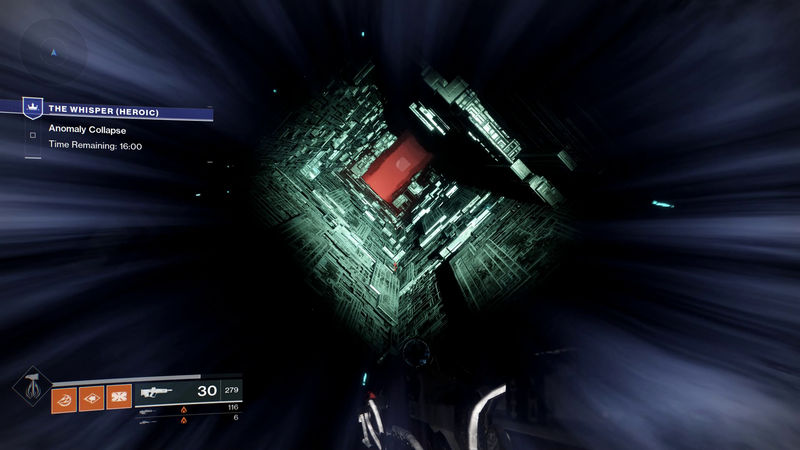 Drop into the room to your right to face the Taken. This is where the mission gets tough, and you should ideally still have 12-14 minutes left on your clock. 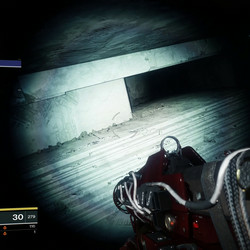 You’ll need to push through four rooms and take out enemies in each. Each room must be completely cleared, although the Blights can be left unharmed. 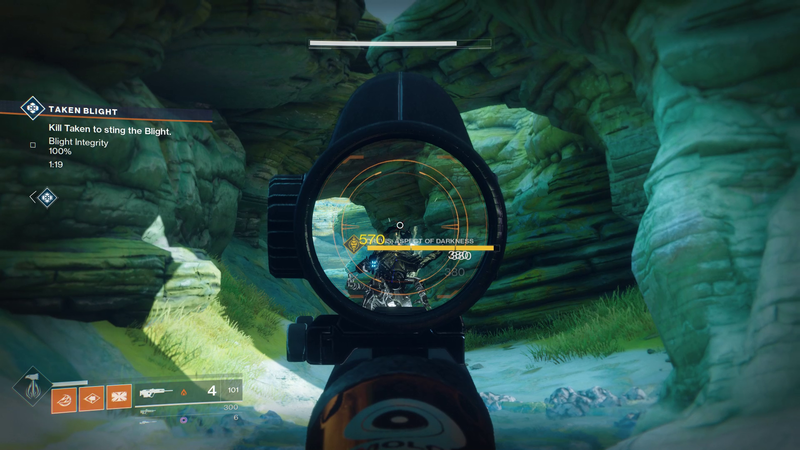 For this section, you’ll want a good loadout. 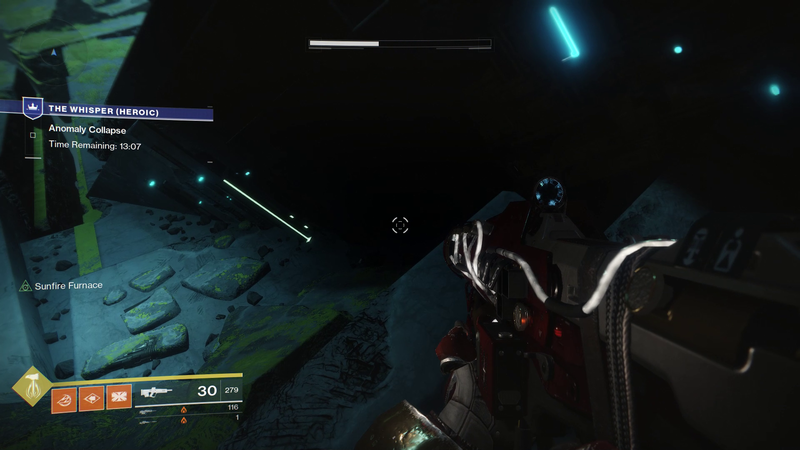 Solar and Void damage will be great here, although having one person run Legend of Acrius for the Centurion's arc shields is great as well. 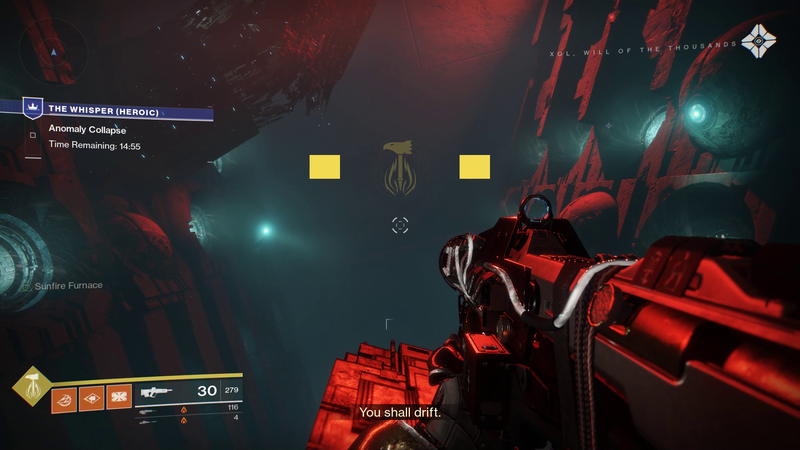 For Supers, Arcstrider, Sunbreaker, Dawnblade, and Nightstalker with Orpheus Rig are all excellent choices. In your kinetic, take something long range that hits hard, like a pulse rifle or a scout — you’ll want something similar with either solar or void in your energy. 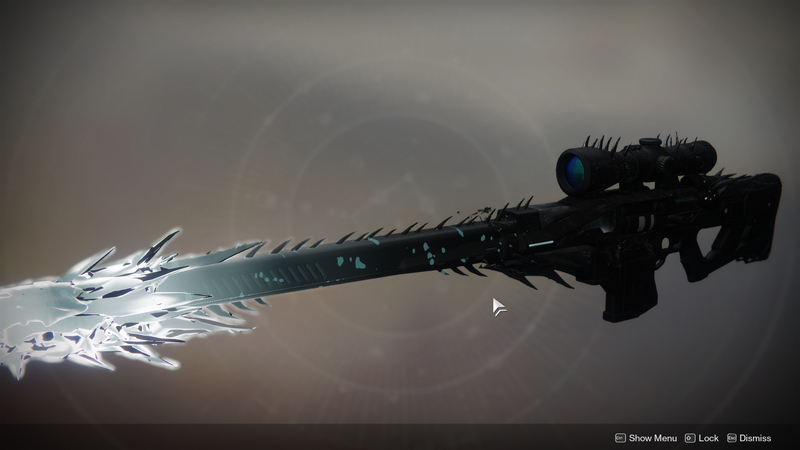 The Polaris Lance exotic scout is actually excellent here, if you have it. 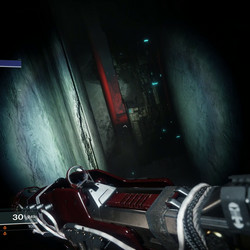 For a power, Legend of Acrius or a different shotgun can be great for the first rooms, but will need to be swapped for a longer range weapon in the end. D.A.R.C.I. 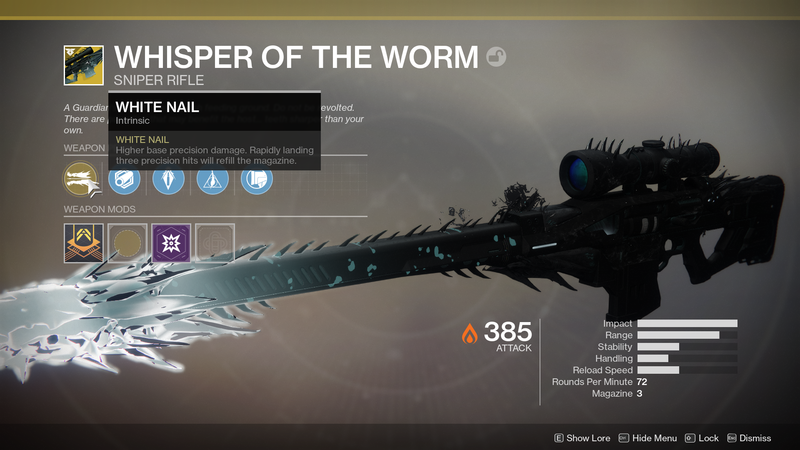 is perfect for the boss room, as is Sleeper Simulant or any other long-range heavy. Clear out the Taken in the first room, being careful to focus on the Fallen Vandals and the Goblins around the room. 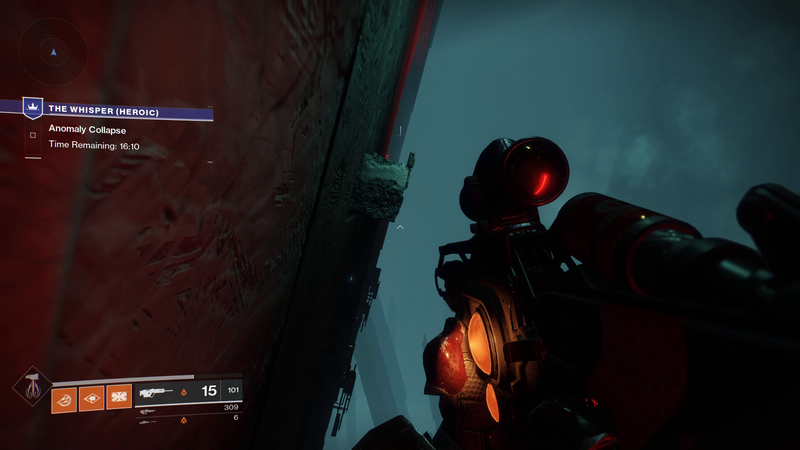 When everything is dead, a Taken orb will appear on the back door. Destroy it and move forward. This next room only has a few enemies but is very dense. 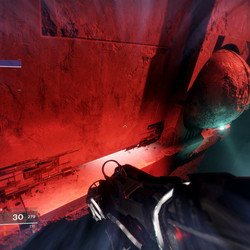 Save your supers and try to use grenades and power ammo here to take out the melee enemies. 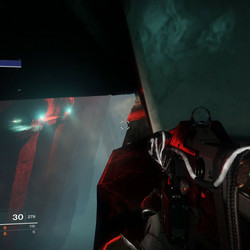 The third room is the hardest outside of the bosses. There are Taken hobgoblins at the back of the room, three Taken knights, and three Taken wizards. 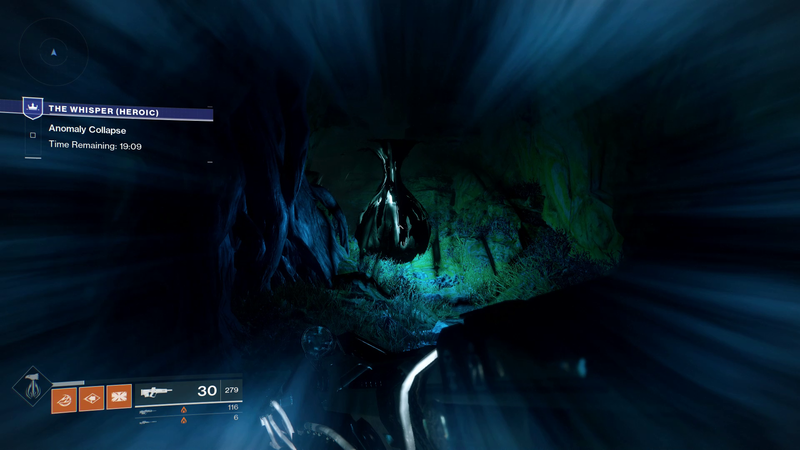 There are also a couple of Acolytes as well. It’s best to specialize, and have someone with a specific elemental weapon or subclass focus on each. 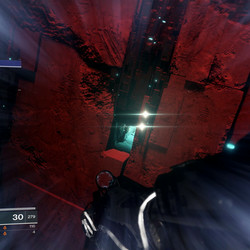 The wizards and acolytes are void, while the knights are solar. 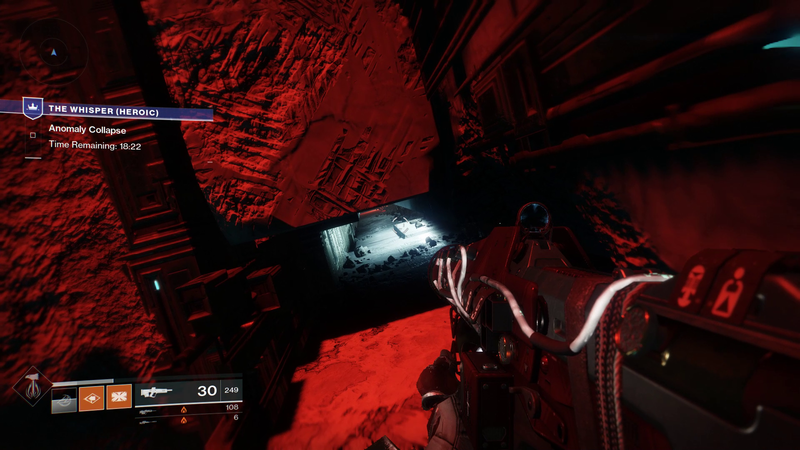 Clear the room and move into the final area. 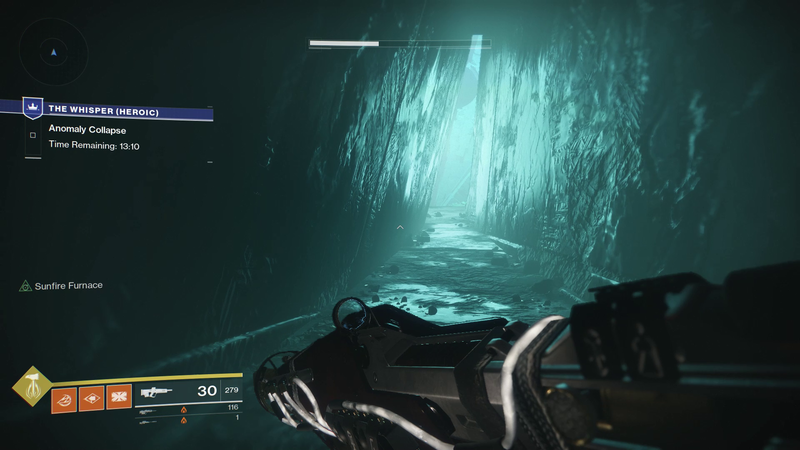 There is an interlude here that pits you against a bunch of Taken hobgoblins and thrall. 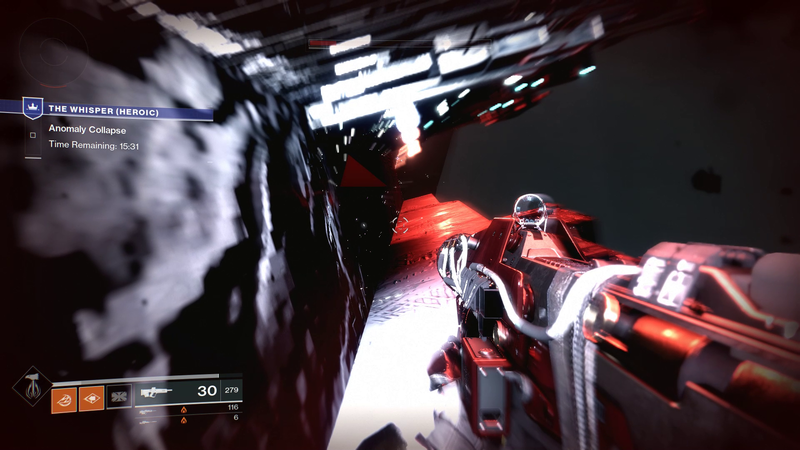 There will also be two Taken Phalanx that come at you from behind. 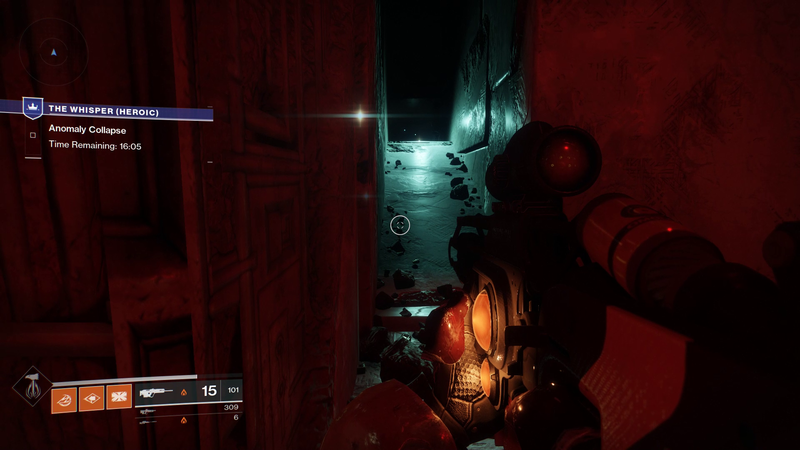 Kill everything with scouts and destroy the Blight covering the hole. Drop down. 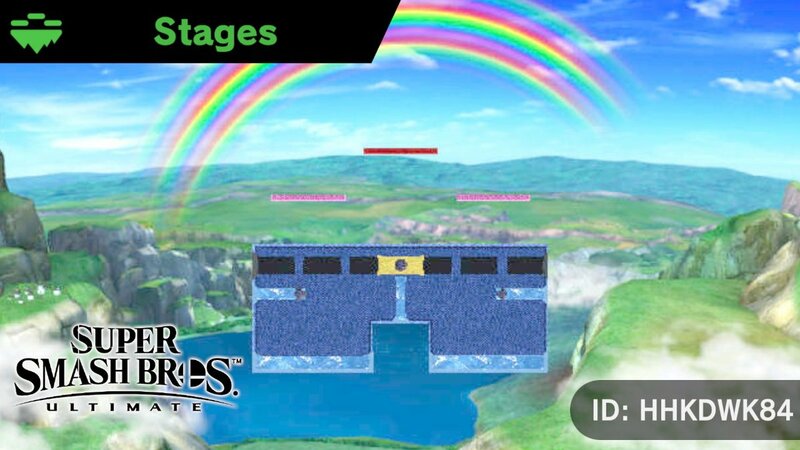 This is the final arena. 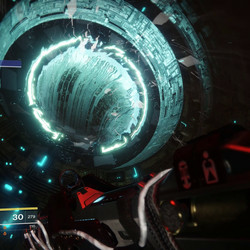 First, clear out all the Taken Blight except for the one in the very back of the room, where the bosses are floating. Then, you’ll need to kill the Centurions around the room. 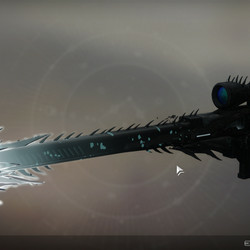 If you have Legend of Acrius, this is the time to use it. 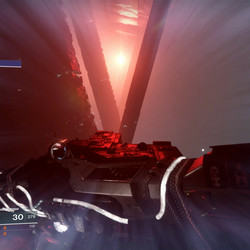 Arcstrider can also be great here. 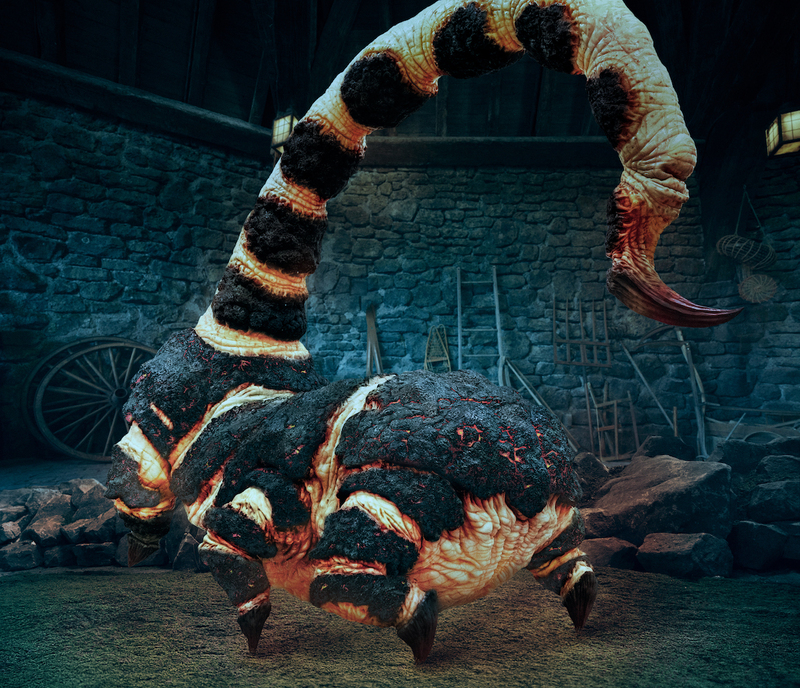 Once the Centurions are down, the bosses will populate the arena, as well as a ton of adds. 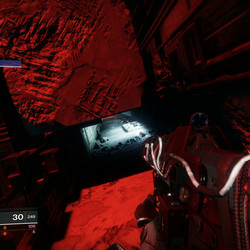 To kill the bosses, hang out in the back of the room, where you first dropped down. 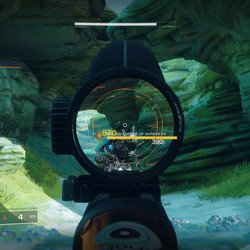 Use scout rifles and snipers to hit each of the bosses in the head until all three are dead. 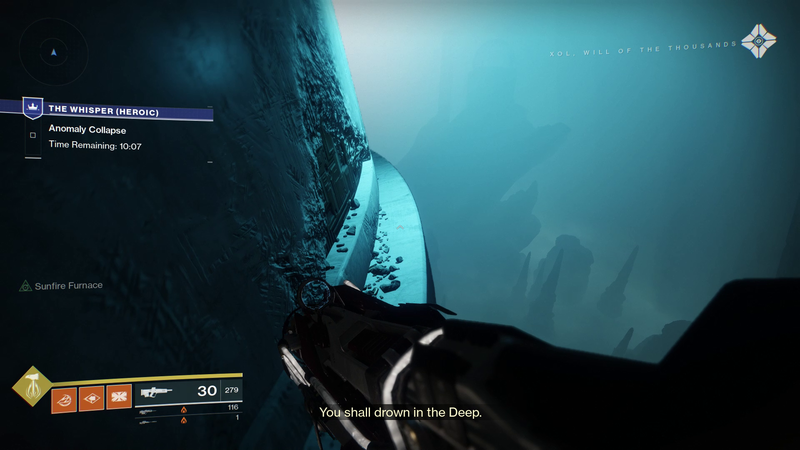 You should be able to do this in time. 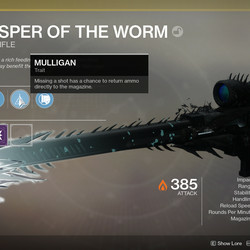 Once all three bosses are dead, you’ll receive the Whisper of the Worm exotic sniper rifle. 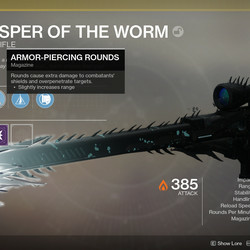 What’s the Whisper of the Worm? 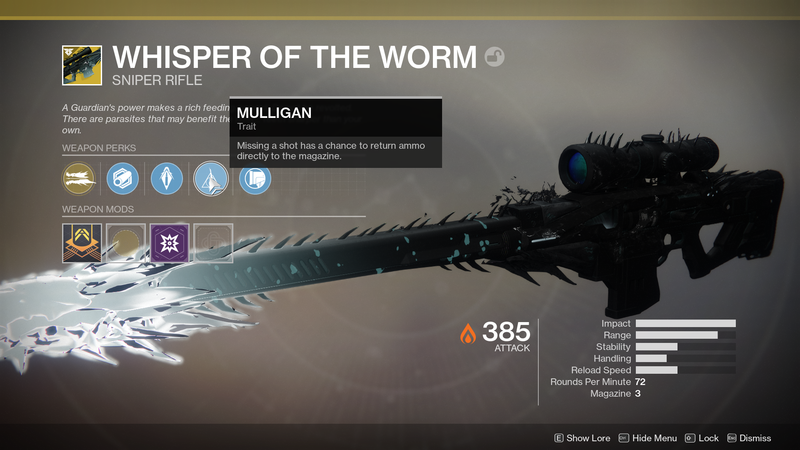 The Whisper of the Worm is an Exotic sniper rifle with some very desirable perks. 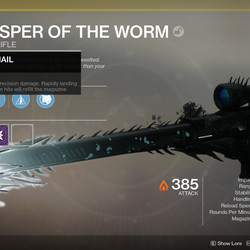 The intrinsic perk, White Nail, causes precision hits to deal bonus damage. 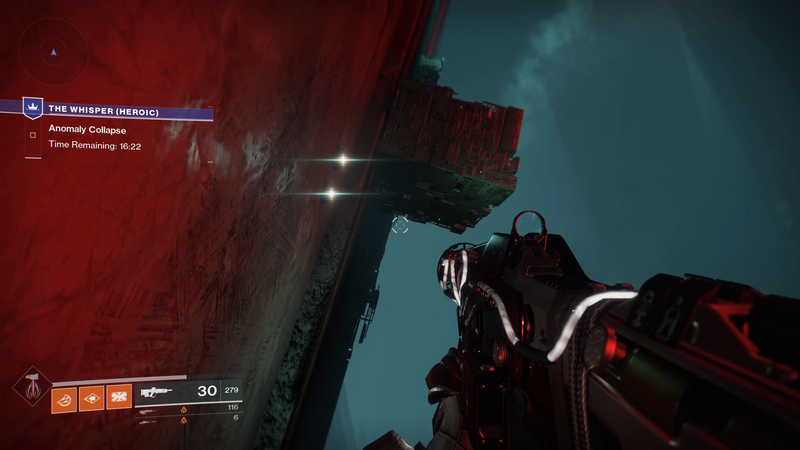 Even better, hitting three precision shots in a row will refill the magazine for free, generating its own ammo until you start missing shots. 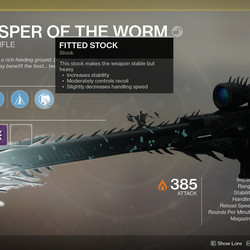 For the accurate player, Whisper of the Worm is a must have. 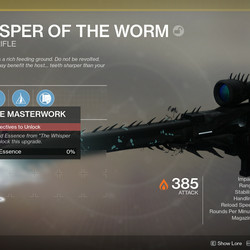 Once you’ve gotten your Whisper of the Worm, the mission will reappear on Io as selectable from the map screen. 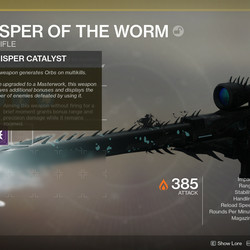 This version of The Whisper will be Heroic. 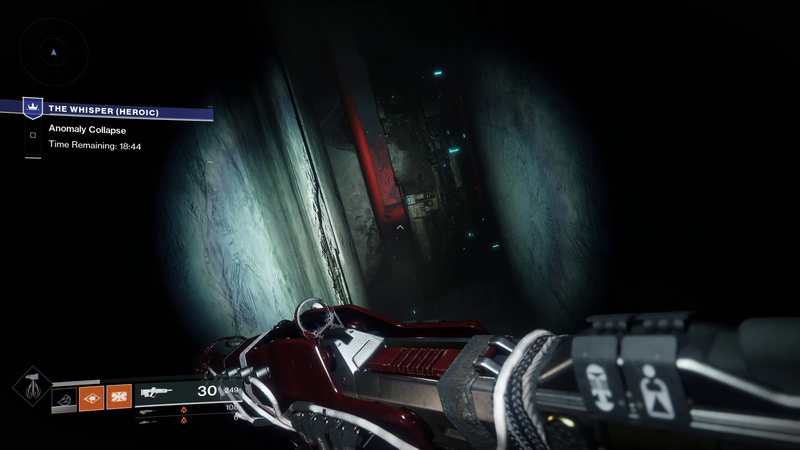 Not only does it have hidden chests to discover, but it’ll also grant you the Whisper of the Worm exotic catalyst when you complete it. 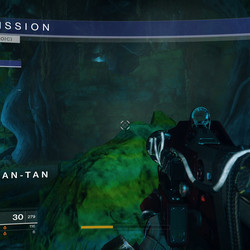 This version of the mission is the same, strategy wise. 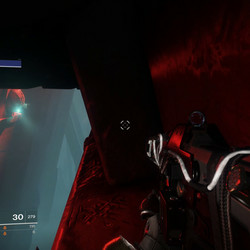 However, the enemies are much harder. 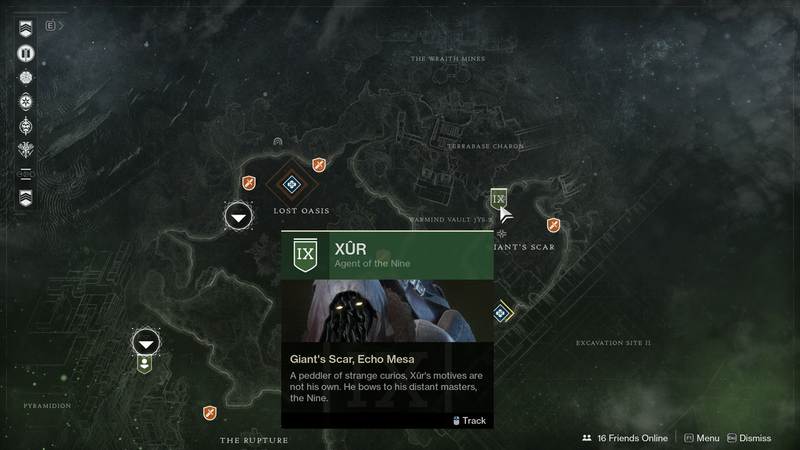 Once you unlock the catalyst, you’ll still need to upgrade it by running the mission each week and gathering chests. 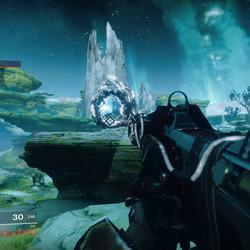 When it’s finally done, it’ll grant the weapon Box Breathing, which increases damage significantly after aiming down sites for a prolonged period of time. What the Night King’s spiral might mean for the children of Game of Thrones What do the White Walkers really want?